I am a graduate student at the University of Kansas Medical Center in the Anatomy and Cell Biology Department. I study in the Avasthi Lab, and I'm primarily interested in untangling the functional differences between a conventional actin and a divergent actin in our model organism Chlamydomonas Reinhardtii, a unicellular green alga. I was selected as a Madison and Lila Self Graduate Fellow through the University of Kansas, which allows me to develop professionally while working towards my career goals and my personal goals of creating a STEM-related outreach program for students in rural communities. I also co-founded GradStudentSlack, an online community of graduate students around the world sharing common issues and victories, getting and giving advice, and connecting with each other. 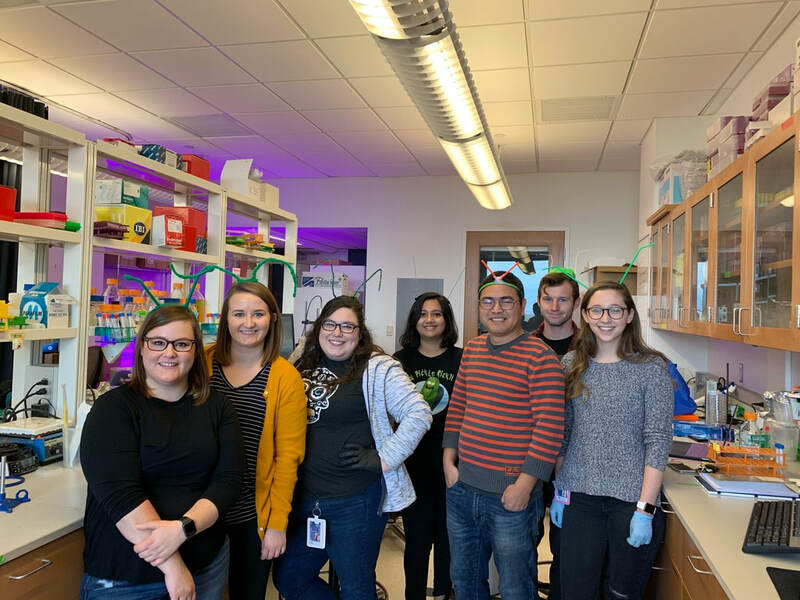 The lab dressed up as our favorite model organism for Halloween! Check us out!